This entry was posted in Thoughts and tagged faith, God's love, help, hope, love, moms, my place in this world, thomas edison, who I am. Awesome story about Edison’s mother. The C.S. 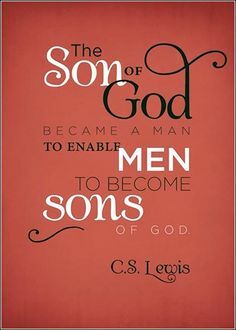 Lewis quote, by the way, is the same quote that just about every church father said for the first five centuries of the church. Sadly, now many would call it heresy. That’s why I think bad theology is the opinion of the devil, too. Thanks Mel. This story actually brought me to tears. What a good mom! And a great reminder of God’s love for His children.